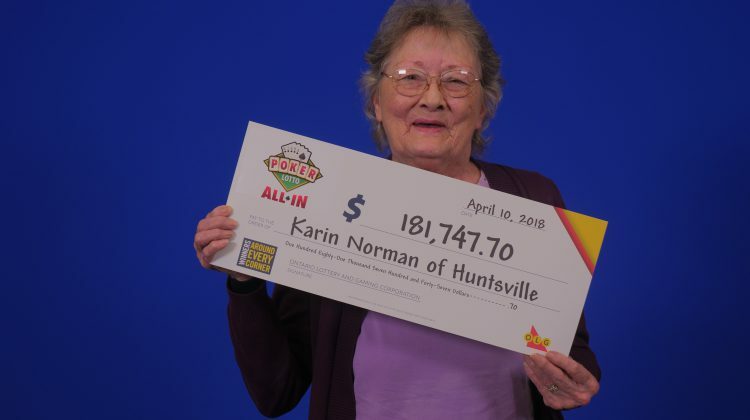 A Huntsville woman is celebrating her win after going ‘All In’. 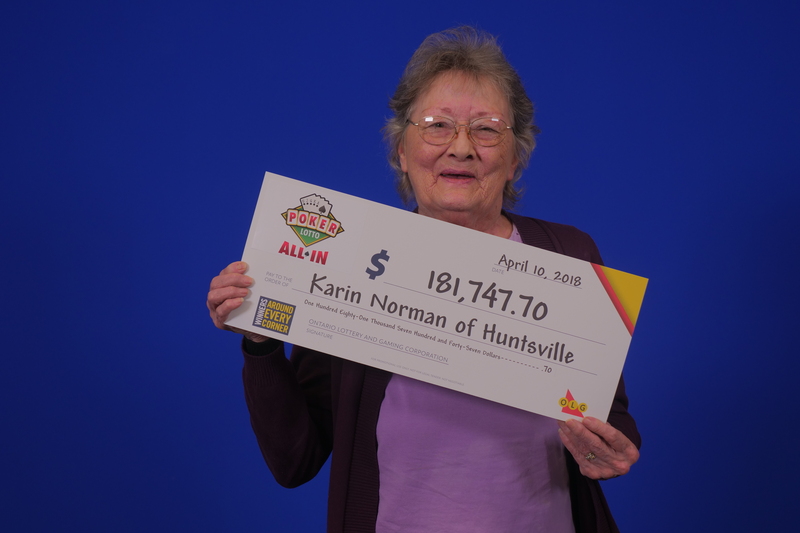 Karen Norman has won nearly $180,000 after playing the OLG’s Poker Lotto draw. Norman won the All In portion of the draw worth over $170,000 plus an extra $5,000 on the instant portion of the ticket. The winning ticket was purchased at West Road Convenience in Huntsville.